AVOIDING CATASTROPHE | FEATURE In addition, the number of health care claimants with annual claims exceeding $1 million soared 68%, while those over $2 million more than doubled during that same four-year stretch. “The removal of annual and lifetime limits on payouts has resulted in greater catastrophic risk exposure for many self-funded employers that previously had a cap in place,” explains Brad Nieland, VP of stop-Loss for Sun Life. Aside from the ACA, he says two other fundamental drivers of these claims include hospital bills continuing to increase at a rate higher than general inflation and advances in medical technology that have opened the floodgates to more costly procedures. “About 10 years ago or so, we didn’t see $1 million-plus claims,” observes Lisa Hawker, who heads up the employee benefits operation at Hylant, one of the nation’s largest privately owned insurance brokerage firms. “Today, we’re seeing them all the time.” Without benefit caps, employerprovided health plans are now entering “the beginning phase” of “an incredible pain point, long-term,” laments Dwight Mankin, president of Communitas, Inc., an AmWINS Group Company. He says many employers are finding that 5% of their covered lives are driving nearly half their costs. We can’t We can’t stop the stop the unexpected. We Wecan canstop stop loss. loss. VoyaVoya Employee Benefi ts can help employers Employee Benefi ts can help employers manage the risk of catastrophic health claims. manage the risk of catastrophic health claims. Together, we can preserve assets and provide Together, we can preserve assets and provide beneﬁ ts that empower employees to to protect beneﬁ ts that empower employees protect theirtheir retirement savings. retirement savings. • •Our stop loss lossexperience experiencemakes makesusus Our35 35 years years of of stop 1 1 in the nation. one of the top stop loss providers one of the top stop loss providers in the nation. • •Our approachmatches matchesyour yourunique unique needs. Ourconsultative consultative approach needs. From ourunderwriters underwriters claims Fromour our sales sales representatives representatives totoour to to ourour claims analysts, everycase casetotoensure ensurethe the best solution. analysts, we we evaluate evaluate every best solution. Ourflflexible exible contracts contracts off oror enhance • •Our offer erfeatures featuresthat thatmirror mirror enhance virtually any any plan design. virtually design. AVOIDING CATASTROPHE | FEATURE to Mankin. Another important approach involves pharmacy benefits management to manage escalating costs associated with specialty drugs whose treatments he says may range from $50,000 to $100,000. to ensure that the most cost-effective and appropriate medical services are being rendered. For example, she says an X-ray might do just fine in certain cases instead of a significantly more expensive MRI. That effort also could include transplant carve outs or more aggressive managing of costly dialysis claims, as well as closer scrutiny of third-party administrators or other partners when it comes to examining medical necessity. Additionally, on-site medical reviews by an independent party rather than passive telephonic interventions will help self-insured employers get a better handle on these costs, he suggests. This process will help determine whether care is being rendered in the right setting for a more cost-effective outcome. By the same token, it also can help remove any suspicions about performance. For example, Nieland believes “it’s more important now than ever for the employer, broker, administrator and stop-loss carrier to work collaboratively to manage the risk of very large catastrophic claims.” By doing so and developing best practices, he says it will produce the best possible health and cost outcomes for claimants and employers alike. Mankin says hospitals must be more mindful about discharging patients prematurely, since they can be penalized for readmitting individuals on Medicare within 30 days of their hospital stay. Another worry is the effect hospital consolidation could have on managing mega-claims. The upshot will be a need for better on-site intervention at hospitals, as well as coordination between primary care and community resources, especially he says on the workers’ comp side to help facilitate a return to work. This trend also could give rise to more value-based purchasing or reference-based pricing, Mankin believes, not to mention telemedicine to reduce unnecessary ER visits and mobile apps to help individuals monitor their own health. “If we can get in front of some of those things, we can start preventing some of these catastrophic issues that occur because of somebody not taking care of themselves,” he says. Indeed, a new era may be dawning for managing the costliest group medical claims. 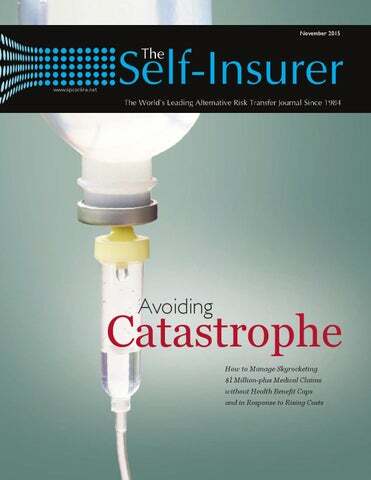 The significant growth of $1 million-plus catastrophic claims inspired Sun Life to spread industry awareness about this phenomenon through a special annual report that seeks to provide credible information, encourage collaboration among service providers and make recommendations for employers, according to Hundertmark. “I have a team of nurses who will do outreach to administrators to talk about particular claims as the notices come in about diagnoses that we know that we might be able to support with cost containment,” she explains. The danger of sobering headlines about such high health insurance claims is they can give a mistaken perception that self-insurance is somehow no longer a viable option, cautions Karin James, assistant VP of strategic operations for Sun Life’s stop-loss business. However, she says this phenomenon has created greater awareness about the cost of health care and the need for more transparent data, which provides an opportunity to proactively manage claims. In spite of the rise in $1 million-plus claims, Hundertmark sees more employers considering self-insurance than ever before. ■ Bruce Shutan is a Los Angeles freelance writer who has closely covered the employee beneﬁts industry for more than 25 years. f you handle a group health plan’s money, make decisions regarding how that money will be used, decide where it goes and when to take it back, you are (likely) a ﬁduciary. The United States Department of Labor (“DOL”) provides guidance regarding beneﬁt plans and ﬁduciaries; check out www.dol.gov/ebsa/. There is no question that, “controlling the plan’s assets” makes that person a ﬁduciary to the extent of that control. “Fiduciary status is based on functions performed for the plan, not just a person’s title.” Assuming for the moment that you’re a fiduciary, the DOL goes on to say that, “Fiduciaries have important responsibilities and are subject to standards of conduct because they act on behalf of participants... ” “These responsibilities include: ... carrying out their duties prudently; following the plan document; and paying only reasonable plan expenses.” The DOL then tells us why you, as a fiduciary, should care about these duties. TO A TRUE PARTNER IN STOP-LOSS. The benefits of smart coverage, when it matters most. Sun Life is #1 in stop-loss for a reason:* our unparalleled expertise and innovative benefits and services help protect self-funded employers. Our new benchmarking tools arm you with customized data in an appealing, client-ready format. Coupled with our cost-containment products, you can tailor the perfect solution for each client. Put our expertise to work—call your Sun Life rep today. sunlife.com/wakeup *#1 independent direct writer stop-loss carrier based on the 2013 year-end Sun Life Stop-Loss premium of $915.2M and our analysis of marketshare data from various third parties. Group stop-loss insurance policies are underwritten by Sun Life Assurance Company of Canada (Wellesley Hills, MA) in all states, except New York, under Policy Form Series 07-SL. In New York, group stop-loss insurance policies are underwritten by Sun Life and Health Insurance Company (U.S.) (Windsor, CT) under Policy Form Series 07-NYSL REV 7-12. Product offerings may not be available in all states and may vary depending on state laws and regulations. © 2015 Sun Life Assurance Company of Canada, Wellesley Hills, MA 02481. All rights reserved. Sun Life Financial and the globe symbol are registered trademarks of Sun Life Assurance Company of Canada. PRODUCER USE ONLY. a device, or accepts financial responsibility for the losses they cause. Whether it is done in-house, or through the use of partners, every time a class action is filed, recall is announced, or drug is linked to a risk, we as fiduciaries must audit our claims, confirm whether our plan participants were exposed to the damaging product or drug, determine whether the damages linked to that item were suffered by the participant and resulted in payments by the benefit plan. If that is the case, we must act to recoup those funds – no different than how we react when injuries arise from a car accident. Ron obtained his Juris Doctorate from Rutgers University School of Law and earned his Bachelor of Science degree in Policy Analysis and Management from Cornell University. Ron is also a Certiﬁed Subrogation Recovery Professional (“CSRP”). ven before the start of the National Educational Conference and Expo in Washington, DC, SIIA members arrived in the capital to express their support for the Self-Insurance Protection Act (SIPA) now in Congress and attend a round of congressional fundraising events. SIIA members participating included Board of Directors member Bob Clemente of Specialty Care Management, LLC, in Bridgewater, NJ; Government Relations Committee chair Jerry Castelloe of Castelloe Partners, LLC, in Charlotte, NC; Matt Kirk of The BENECON Group, Inc. of Lancaster, PA and Bob Tierney of Star Line Group of East Falmouth, MA. to repeal this provision of the (ACA). SIIA submitted on Sept. 28 a formal comment letter expressing concerns about the latest regulatory guidance issued by the Treasury Department and the Internal Revenue Service (IRS) regarding implementation of the Excise Tax on High-Cost EmployerSponsored Health Coverage, more commonly known as the “Cadillac Tax.” SIIA’s comments explained why the tax should not be levied on third-party administrators (TPA) as contemplated in the regulatory guidance. Leading employer-specific trade associations have also expressed support for imposing the tax on self-insured employers directly as a regulatory more efficient and less costly method. • Having the tax paid directly by employers to eliminate the “tax-within-a-tax” costs of it being paid by TPAs and then charged back to employers. FULLY CUSTOMIZED SOLUTIONS • UNPARALLELED SERVICE POMCO’s fully customized stop loss and risk share services ensure its self-funded plans are well-prepared to align risk tolerance and anticipated financial spend with the normal claims variability that occurs in a self-funded environment. Experience the POMCO difference. For more information on our stop loss and risk share options, call 800.934.2459 or visit POMCO.com. In California POMCO, Inc. DBA POMCO Administrators, Inc.
IIA staff and members plus the newly formed Protect Employee Health Plans Coalition (PEHP-C) provided strong support for self-insured employee group health plans and continued use of stop-loss insurance during a recent informational meeting of the Maryland Insurance Administration (MIA). The lateSeptember meeting in Baltimore was part of the MIA’s two-year study of the use of stop-loss insurance among self-insured health plans. number of people insured increases when a self-funding market exists beside the traditional market.” He said the “sky is falling” predictions of mass migration of small groups to self-funding has not occurred in the past or since the advent of the Affordable Care Act, even though many in Maryland predicted so over 20 years ago when the state implemented small group reforms nearly identical to the ACA. The actual results clearly refute the arguments from some quarters that self-funding could have an adverse effect on state health care exchanges. Also attending the meeting were SIIA members Catherine Bresler of CoreSource/Trustmark and James Hechler of The BENECON Group, along with Director of State Government Relations Brackemyre and SIIA’s Maryland counsel Gerry Evans. Other SIIA members were known to listen into the proceedings by conference telephone. An anchor feature of the hearing was the panel presentation by members of the newly-formed PEHP-C which is chaired by SIIA’s Brackemyre. The PEHP-C has been formed to bring to the MIA study the reality of selfinsuring employers’ dependence on viable stop-loss insurance. The panel included testimony by Debbie Johansen of PEVCO, a Maryland manufacturer of pneumatic tube systems used by hospitals and other organizations. “We’re a small company in a world of big companies and competition for top employee talent is very tough,” she said. “What I have to sell recruits is a top-quality self-insured health plan.” Johansen said that the data on the company’s health care utilization enables PEVCO to design coverage that meets its employees’ needs. “We are a familyowned company and we treat all employees as family,” she said. MIA Commissioner Redmer interjected a question about whether PEVCO periodically compares costs of its self-insured plan to those of fully-insured plans. Joahnsen answered that the company compares costs each alternate year and that since switching to self-insurance the company experienced an immediate decrease in costs and has held annual increases to the range of 10-12%. than 50 participants are not covered entities if they are administered inhouse.5 It is also important to note that health plan sponsors, unlike health plans, are not covered entities in and of themselves. Rather, the HIPAA privacy and security rules govern, in part, the flow of information from the health plan to the plan sponsor. HIPAA defines “business associates” as third parties that provide services to covered entities involving the use or disclosure of PHI.6 Business associates must have written contracts with the health plan or other covered entity that establishes the scope of the business associates’ services and their obligations with respect to the PHI accessed, used, created or maintained on behalf of that covered entity as part of those services.7 Under the HIPAA privacy and security rules, covered entities have primary responsibility to protect PHI but recent changes to HIPAA impose direct liability on business associates as well. II. 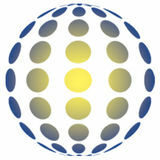 HIPAA Breaches and Plan Sponsor Responsibility HIPAA breaches have gained significant media attention in the past year. What does this mean for plan sponsors? In addition to recognizing and mitigating breaches (see our prior Advisory),8 plan sponsors should understand their responsibilities in the event of a breach affecting the plan. must determine who the primary covered entity under HIPAA is. If a plan is self-insured, the duty to issue a HIPAA breach notice lies with the plan. In this context, the group health plan is a covered entity and the third party administrator (TPA) is only a business associate. Thus, in absence of an agreement to delegate the HIPAA notification duty otherwise, the primary responsibility to notify lies with the self-insured plan, not the TPA. If a plan is fully-insured, because there are two covered entities (the insurer and the health plan) the duty to issue a HIPAA notice lies with the entity where the breach occurred. under HIPAA is to notify the covered entity of a breach.15 A business associate is not responsible for providing notice to affected individuals, HHS or the media. And while a business associate may assume the notice obligation by contract, the covered entity would remain liable for the business associate’s notice failures. Staying confident in a world where change is constant. With today’s ever-changing and challenging market, successful companies rely on financial stability and strong credentials. We’ve used those needs to drive us into group life and disability products while maintaining our position as a leader in the medical stop loss market for over 35 years. We have the strength and experience to remain prepared for whatever tomorrow brings. We call it Mind over risk. For more information, visit us online at hcc.com/life. A subsidiary of HCC Insurance Holdings, Inc.
REFERENCE BASED OUT-OF-NETWORK ENSURES FAIR REIMBURSEMENT FOR MEMBER, PLAN, AND PROVIDER BY USING MULTIPLE DATA POINTS, INCLUDING MEDICARE RATES, COST-TO-CHARGE RATIOS, AND OVER ELEVEN YEARS OF HISTORICAL DATA. • Massachusetts Eye and Ear Infirmary/ Eye and Ear Associates: $1,500,000 (2012) • Blue Cross/Blue Shield of Tennessee: $1,500,000 (2012) Settlement agreements published by HHS make clear why, in addition to financial penalties, entities would do well to avoid HHS’ attention. HHS frequently imposes tough restrictions on covered entities – including requiring implementation and/or progress reports to HHS, thorough documentation of compliance efforts, workforce re-training, revisions to policies and procedures and periodic risk assessments and risk management plans.19 These often go beyond the scope of HIPAA’s generally applicable requirements and subject the covered entities to HHS’ watchful eye for an extended period of time. Even in cases where financial penalties are moderate, HHS does not let covered entities off lightly after a breach or other complaint. Thus, covered entities are much better off complying in the first instance. What is HHS Looking for in Investigations? failure to provide adequate HIPAA training to staff.31 Health plans should be aware of these issues and make sure that they have been adequately addressed, in writing AND in practice. These settlements also illustrate the importance of involving multiple types of professionals, such as benefits personnel, IT experts and informed legal counsel, all of whom will have critical – but different – knowledge needed to protect the organization. For example, covered entities need to be aware of the physical and electronic locations of PHI; IT security strengths and weaknesses; and risk areas (particularly in unexpected places – e.g., PHI remaining on copier hard drives).32 Without input from across the organization, entities may miss a critical vulnerability of the privacy or security of PHI. Finally, while many of the recent settlements involve healthcare providers, HHS has also settled investigations with health plans, such as health insurers.33 In addition, it is important to note that many of the issues that arose with respect to providers (e.g., stolen laptops, IT security lapses) could easily occur with respect to employer-sponsored health plans. Thus, health plans should not assume that only healthcare providers or large entities, are subject to HHS’ scope. happen almost anywhere, if the proper precautions are not taken. In addition, while a data breach may, to a certain extent, be outside of the control of a plan sponsor, there are still a number of steps sponsors may take in order to protect themselves. • Examine your contracts for PII provisions. Because HIPAA does not protect personal identifiable information (PII), there is no federal HIPAA duty to notify individuals if there is a PII breach rather than a PHI breach. However, some states have privacy statutes that do regulate PII. To account for this, you should work with your business associates and other vendors to establish an appropriate protocol for dealing with PII breaches as well as PHI breaches. determined in conjunction with the liability and indemnification provisions of the agreement. and Washington, D.C. law ﬁrm. Ashley Gillihan, Carolyn Smith and Dan Taylor are members of the Health Beneﬁts Practice. Answers are provided as general guidance on the subjects covered in the question and are not provided as legal advice to the questioner’s situation. Any legal issues should be reviewed by your legal counsel to apply the law to the particular facts of your situation. Readers are encouraged to send questions by email to Mr. Hickman at john.hickman@alston.com. References Meredith Gage, Esq. and Stacy Clark, Esq. associates in Alston & Bird’s Atlanta ofﬁce assisted with the preparation of this article. 45 CFR §160.103; 45 CFR §164.104. 45 CFR §164.308(b); 45 CFR §164.502(e)(1). 8 www.alston.com/Files/Publication/2f74e6ac-abac-4cfc8a7c-a5f6950d825f/Presentation/PublicationAttachment/ a33a888a-fcea-4ba0-a9f8-ae1466d2242a/Lifes-a-breach. pdf . HHS, Enforcement Highlights, August 31, 2015, available at www.hhs.gov/ocr/privacy/hipaa/enforcement/highlights/index.html. HHS, Shasta Regional Medical Center Settles HIPAA Privacy Case for $275,000, available at www.hhs.gov/ocr/privacy/ hipaa/enforcement/examples/shasta-agreement.html; HHS, $800,000 HIPAA Settlement in Medical Records Dumping Case, available at www.hhs.gov/ocr/privacy/hipaa/enforcement/examples/parkview.html. HHS, Press Release, available at www.hhs.gov/ocr/privacy/hipaa/enforcement/examples/cancercare.html; HHS, Stolen Laptops Lead to Important HIPAA Settlements, available at www.hhs.gov/ocr/privacy/hipaa/enforcement/examples/stolenlaptopsagreements.html; HHS, Untitled, available at www.hhs.gov/ocr/privacy/hipaa/enforcement/examples/apderm-agreement.html. HHS, Idaho State University Settles HIPAA Security Case for $400,000, available at www.hhs.gov/ocr/privacy/hipaa/ enforcement/examples/isu-agreement.html; HHS, HIPAA Settlement Underscores the Vulnerability of Unpatched and Unsupported Software, available at www.hhs.gov/ocr/privacy/hipaa/enforcement/examples/acmhs/index.html; HHS, Data Breach Results in $4.8 Million HIPAA Settlements, available at www.hhs.gov/ocr/privacy/hipaa/enforcement/examples/ jointbreach-agreement.html. HHS, HIPAA Settlement Highlights the Continuing Importance of Secure Disposal of Paper Medical Records, available at www.hhs.gov/ocr/privacy/hipaa/enforcement/examples/cornell/index.html; HHS, HHS Settles with Health Plan in Photocopier Breach Case, available at www.hhs.gov/ocr/privacy/hipaa/enforcement/examples/afﬁnity-agreement.html. HHS, Press Release, available at www.hhs.gov/ocr/privacy/hipaa/enforcement/examples/cancercare.html; HHS, Data Breach Results in $4.8 Million HIPAA Settlements, available at www.hhs.gov/ocr/privacy/hipaa/enforcement/examples/jointbreachagreement.html; HHS, HHS Settles with Health Plan in Photocopier Breach Case, available at www.hhs.gov/ocr/privacy/hipaa/ enforcement/examples/afﬁnity-agreement.html. HHS, HIPAA Settlement Underscores the Vulnerability of Unpatched and Unsupported Software, available at www.hhs.gov/ ocr/privacy/hipaa/enforcement/examples/acmhs/index.html; HHS, Data Breach Results in $4.8 Million HIPAA Settlements, available at www.hhs.gov/ocr/privacy/hipaa/enforcement/examples/jointbreach-agreement.html. HHS, Press Release, available at www.hhs.gov/ocr/privacy/hipaa/enforcement/examples/cancercare.html; HHS, HIPAA Settlement Highlights the Continuing Importance of Secure Disposal of Paper Medical Records, available at www.hhs.gov/ocr/ privacy/hipaa/enforcement/examples/cornell/index.html; HHS, Data Breach Results in $4.8 Million HIPAA Settlements, available at www.hhs.gov/ocr/privacy/hipaa/enforcement/examples/jointbreach-agreement.html. HHS, HIPAA Settlement Highlights the Continuing Importance of Secure Disposal of Paper Medical Records, available at www.hhs.gov/ocr/privacy/hipaa/enforcement/examples/cornell/index.html. HHS, HHS Settles with Health Plan in Photocopier Breach Case, available at www.hhs.gov/ocr/privacy/hipaa/enforcement/ examples/afﬁnity-agreement.html. For an overview of the Omnibus Rule’s major changes that affect health plan sponsors, please see our prior Advisory: www.alston.com/Files/Publication/19c1650bc278-4abf-9c1b-9fff28d27c4a/Presentation/ PublicationAttachment/7ed0617b-c6b1-4350-8e38a5295c262cd1/13-195-HIPPA-Omnibus-Rule.pdf. HHS, Enforcement Results by Year, available at www.hhs. gov/ocr/privacy/hipaa/enforcement/data/historicalnumbers. html. HHS has not provided numbers past 2013. HHS, Data Breach Results in $4.8 Million HIPAA Settlements, available at www.hhs.gov/ocr/privacy/hipaa/ enforcement/examples/jointbreach-agreement.html. HHS, $800,000 HIPAA Settlement in Medical Records Dumping Case, available at www.hhs.gov/ocr/privacy/hipaa/ enforcement/examples/parkview.html; HHS, Data Breach Results in $4.8 Million HIPAA Settlements, available at www.hhs.gov/ocr/privacy/hipaa/enforcement/examples/ jointbreach-agreement.html; HHS, Stolen Laptops Lead to Important HIPAA Settlements, available at www.hhs.gov/ ocr/privacy/hipaa/enforcement/examples/stolenlaptopsagreements.html; HHS, County Government Settles Potential HIPAA Violations, available at www.hhs.gov/ocr/privacy/ hipaa/enforcement/examples/skagit-agreement.html. BENEFITS CAPTIVES GROWING | FEATURE Employee benefits are nonwage compensation that employees receive as part of their employment agreements. The basic benefits, many of which are mandated by law, are things like sick leave and vacation days, workers compensation and health insurance. Other benefits are things like life-insurance, dental coverage, disability and retirement packages (pension, life insurance and health insurance). and began working with the DOL to seek individual exemptions. One of the first major companies to get an individual exemption was Columbia Energy Group in the year 2000. In 2003, Archers Daniel Midland (ADM) received approval for a prohibited transaction exemption (PTE) for their captive Agrinational Insurance Company. This triggered the DOL’s EXPRO program for this type of transaction. new requirements to the approval process when it reinstated EXPRO for benefits captives, but, according to insiders, the department is looking for more clarity and details explaining how employees will be benefited by the reinsurance structure. Since 1974, employee benefits have fallen under the regulation of the U.S. Department of Labor (DOL) after the Employee Retirement Income Security Act (ERISA) became law. ERISA was created to set standards and monitor pension and health plans voluntarily set up by companies for their employees. In the 1960s, after several corporate bankruptcies left employees without their pensions, Congress enacted ERISA to contravene labor racketeering, theft and employer bankruptcy that harmed employees. EXPRO is a program run by the DOL that expedites the approval process for PTEs. Individual exemptions can take upwards of six months or longer to get approval. Using EXPRO, companies can shorten the process to no longer than two and half months. In order to get PTE approval under EXPRO, a company must base their application on two substantially similar individual exemptions within a five year period or one substantially similar individual exemption within ten years and one substantially similar exemption authorized by EXPRO within the previous five years. Since 2003, most companies applying for PTEs have gone through EXPRO, but there are still some that seek individual exemptions. ERISA does not apply to some employee benefits offered by companies, such as workers’ compensation or medical stop-loss. However, ERISA applies to many of the most popularly offered benefits. The primary benefits that companies are interested in reinsuring through their captives have been group life insurance and long-term disability insurance. These are considered under ERISA to be prohibited transactions, so in order to set up the reinsurance of employee benefits through a captive, the parent company must seek a prohibited transaction exemption directly from the DOL. Who Reinsures Employee Beneﬁts Through Captives? common within larger companies, it has allowed for more collaboration between disparate departments. Captives themselves have become more sophisticated in the last fifteen years, so companies are looking for ways to expand the use of their captive to take advantage of the cost savings associated with them. While reinsuring employee benefits through captives is not as dynamic in growth in the same way that many other captive coverages are, it has proven to be a strong, steady area of growth for the industry and will likely continue to be as the captive sector becomes more sophisticated in use and management. ■ Karrie Hyatt is a freelance writer who has been involved in the captive industry for more than ten years. More information about her work can be found at: www.karriehyatt.com. n a year of intense political battles, a spacious ballroom at the Marquis Marriott in Washington, D.C., became the War Room for SIIA’s 35th Annual National Educational Conference & Expo. Over the course of two days, attendees were briefed on efforts to defend the self-insurance industry in 2015 and an insider’s assessment of the 2016 presidential campaign and beyond. “Most associations have one or more professional lobbyists, which SIIA has, but it’s not enough to be effective,” cautioned Mike Ferguson, SIIA president and CEO. He said the key to success is an ability to integrate several different tools that include grassroots member involvement, raising money for better access to elected officials and regulators through campaign contributions and litigating to protect the interests of self-funded plans and alternative risk transfer or captive programs whenever they’re threatened. Ferguson noted SIIA’s deeper involvement in captive insurance, including the filing of an amicus brief amid growing oversight of these vehicles. according to Bob Tierney, who chairs the six-member Self-Insurance PAC (SIPAC) board of trustees. “He is a huge proponent of the self-insured industry,” he said, noting SIPAC’s mission to forge productive relationships with elected officials. He said Sen. Richard Burr (R-NC), who serves on the health and finance committees in the Senate, is also considered very knowledgeable about self-insurance and mentioned how nine SIIA members dined with both lawmakers for three hours. Ryan Work, SIIA’s senior director of government relations, was credited with leading the charge for SIIA this past year in several key states, including Florida, New Mexico, New Hampshire, Maryland, New York and Connecticut. Adam Brackemyre, SIIA’s director of state government relations, also was praised for his work at the federal of government. In addition, Castelloe referenced an “all-star team” of 10 SIIA members at the grassroots lobbying level, as well as the 20-member committee he leads. He noted their involvement in helping advance the Self-Insurance Protection Act, which was reintroduced in March by U.S. Sens. Lamar Alexander (R-TN), chairman of the Senate Health, Education, Labor and Pensions Committee, Bill Cassidy (R-LA) and U.S. Rep. Phil Roe (R-TN). The legislation, known in the Senate as S. 775 and in the House as H.R. 1423, was first introduced in 2013. Another noteworthy development mentioned was SIIA’s media-outreach campaign led by a high-powered, public relations firm in Washington, D.C. Ferguson described SIIA’s op-ed piece in the Wall Street Journal on the Self-Insurance Protection Act as “the gold standard for media placement.” Another article involving five facts about self-insurance was syndicated in about 18 regional newspapers. Ferguson also lauded the work of the Self-Insurance Defense Coalition and Self-Insurance Educational Foundation to educate policymakers. Other efforts include greater coordination with and outreach to organized labor and a new regulatory task force on workers’ comp legislative. for Fox News whose handicapping of the 2016 presidential race was laced with jokes about some of the candidates. The diminutive journalist also offered several personal anecdotes, including a hilarious recollection about beating basketball icon Michael Jordon in a free-throw contest when he interviewed the former Chicago Bulls star years ago. Wallace held court on a number of issues, including the future of the Affordable Care Act (ACA). “The GOP as an article of faith talk about repeal and replace,” he said. If Hillary Clinton becomes president, he believes there will be some tinkering with the medical device tax and other provisions, but even with a Republican majority in Congress and the prospect of the GOP recapturing the White House, Wallace believes the prospect for any changes would be very limited. A related point he made was that nothing much will happen until 2017, anyway, when there’s a better idea about the new political balance. It’s also not as much at the top of the national agenda and discussion as other issues, such as national security and income inequality, according to Wallace, who added that health care reform is now old news in the mainstream media’s 24/7 information cycle. To a certain degree, he said that a getting health care reform got into the nation’s bloodstream, so to speak, has proven to be a victory for the Obama Administration. Indeed, he said there are enough parts of the ACA that are helping people, such as no preexisting conditions, children being able to stay on their parent’s coverage until age 26 and about 10 million Americans added to the nation’s insurance roll. He sees tort reform and an ability to purchase coverage across state lines as real possibilities down the line. THINKING OF TAKING THE PLUNGE INTO A REFERENCE BASED PRICING HEALTH PLAN? Save hundreds of thousands of dollars, reducing your health care cost while providing your employees with a quality health plan. Contact Your Sales Representative, or Bob Serber at 301-963-0762 ext. 163 / rserber@hhcgroup.com. But the fact remains that there are still a billion poor Chinese, which he said strains socioeconomic growth. Protests are about arbitrary use of authority at the local level and the number of outbreaks of mass unrest in China is on the rise – reaching 120,000 in 2008 from 8,700 in 1998. But since there are mandatory age limits in Chinese government, Reinsch said the system will be refreshed by younger minds. International Session Recap: China’s Explosive Growth Captivates World In the global economy, all eyes are glued to China, which last year overtook the U.S. as the world’s No. 1 economy. And while American businesses are increasingly ambivalent about the world’s most populated country, which is home to 1.3 billion people, China could be upstaged by India in the years ahead. These key themes were examined in an educational workshop at SIIA’s national conference entitled, “China and the U.S.: A Perspective from Washington,” and could be the subject of further exploration by SIIA’s International Committee. Bill Reinsch, president of the National Foreign Trade Council and a long-time expert on China, told attendees that China represents “the fastest rise in human history” with an average of 10% gross domestic product (GDP) growth since the country’s opening in the world economy. He referenced an extraordinary sequence of developments made in the past 25 years that mirrored Japan’s rise in the 1980s. But there were major differences. “We had many of the same economic worries about Japan 25 years ago, but at the end of the day that nation was a friend and ally and not a military threat – unlike China,” he said. One such example is military installations being built on various islands in the South China Sea. More than 300 million people have been lifted out of poverty in China, whose historically low labor costs are now on the rise, according to Reinsch. China’s workforce is known for having a good work ethic and agility. For example, he said it could only take only a few weeks to change a production line. their own standards,” he added. The thinking is that it would force China to adopt western ways of doing business. The extent to which service providers in the U.S. self-insurance and alternative risk transfer markets could grow their businesses in China is slim to none, though it could change over time. “The number of foreign companies allowed in China is very small and partnerships are often required,” commented Armando Baez, SVP in the Asia Pacific region of Global Benefits Group, whose tagline is “insurance without borders.” Noting that the percentage is only about 1.2% of 1.5% of the market, he said many Chinese insurance companies already compete for business. However, that doesn’t necessarily mean the Chinese government will adopt a monolithic view moving forward. Reinsch explained that building out the insurance sector beyond 200-plus Chinese carriers, most of which are state owned, could help strengthen the nation’s social fabric. Given the effect of China’s growing pains on its citizenry, that would serve the government well in helping quell social unrest. It’s all about you at Meritain Health Client-centric, customized healthcare plans Your employee population has unique needs. We get it. That’s why Meritain Health works with you for custom-fit benefits. You can pick and choose from our product suite, or opt for your own preferred vendors. And you can rest easy that you’ve chosen the benefits your workforce needs for good health. To learn more about our customized benefit plans, contact Meritain Health at 1.800.242.6226. Or visit us online at www.meritain.com. © 2015, MultiPlan, Inc. All rights reserved. When Back to the Future was killing it at the box office, MultiPlan was a small regional hospital network in New York. Today we’ve expanded into a total healthcare cost management solution. With a single claim submission, our clients get access to our network-based, analytics-based and waste, abuse, fraud solutions — solutions that saved them over $12 billion last year alone. Don’t wait for the future to get your share of the savings. Contact us now. WE’VE HATCHED SOME NEW IDEAS. Call (866) 265-1719 Visit www.renalogic.com Formerly DCC, Inc.
of a medical red herring, which they defined as incorrect diagnoses based on poor science or inaccurate criteria. Before authorizing MRI, injections, surgery and more opiods, Rosenblum stressed the importance of evaluating injured workers through validated questionnaires for BPSE factors by mental health professionals, as well as neurophysiologic pain profile testing to identify the source of distress or reactions. The payoff of BPSE tests and services done at a very low cost grows over time, he added. Jennifer Christian, M.D., president of Webility Corporation, suggested that back surgeries only should be done after an adequate trial of conservative treatment involving more than six weeks. Other factors included an evaluation of BPSE factors and MRI confirmation of a structural lesion in location that matches a patient’s symptoms. Most high-cost claims are “creeping catastrophes” that resemble common health problems, but ones that Christian said involve a stalled recovery, ineffective treatment, illnesses that are greater than disease and desperate tactics that drives the search for expensive or destructive measures. “Classic” catastrophes, on the other hand, look serious from the start; involve obvious, immediate, or imminent anatomical or functional loss or multi-system insult; and several serious problems, such as spinal cord injury, major burns or amputation and head injury. will not accept out-of-state exposure unlike group captives. FIND IT EASIER TO EXPLORE WHAT IS POSSIBLE. The session spotlighted the City of Sherman, Texas, which sought to improve the health care literacy of city employees and their families. “I’m a big proponent of reference-based pricing and feel that any public entity that is not adopting this approach is doing their taxpayers a disservice,” opined Wayne Blackwell, the city’s director of human resources/civil service. While those employees frequently receive a hefty balanced bill, it’s now a run-of-the-mill matter. “They’re going to get rattled,” he explained. “It’s how you deal with them when they get rattled” that is the key to driving success. The aim is to ensure that they don’t sit on these bills so that the situation can be immediately remedied. Sherman was an early client of David West, director of corporate development for Group & Pension Administrators, Inc., who noted that the city’s tax revenues were declining and health care costs were tight when he got to work on the account. His grand plan was to help employees and their families receive quality care at a fair price. The city doesn’t take a combative role in attempting to resolve big bills and has sought direct contracting with more palatable pricing to reduce deductibles and co-pays by 50%. hemophilia case, routine knee surgery led to a two-week stay and nearly $7 million of factor drugs that were billed. A pediatric heart transplant requiring five ventricular assist devices to help control clotting totaled $9 million. For the past 15 years, Bachler said there has been talk about how large claims are on the rise and medical trend is leveraged with stop-loss premium increases. Since historical leveraged trend has mirrored mathematical leveraged trend during the past decade, the implication is that large claims were increasing as expected. But he said historical trend is now higher than leveraged trend, driven by the Affordable Care Act phasing out annual and lifetime benefit caps. addressing RBP upfront when contracting for care and encouraged them to get to know their local hospital CEOs. IIA proudly promoted a well-deserving local charity at its National Conference & Expo in Washington, DC and was happy to provide an opportunity for attendees to ﬁnancially support this cause. Last year SOME provided: • 427,278 meals. • 22,239 free sets of clothing and showers to homeless men and women. • 9,197 visits to a doctor or dentist in our Medical and Dental Clinics. • Emergency housing for 176 adults in psychiatric crisis and 20 abused and neglected elderly. • Support and care to 385 homeless adults with chronic mental illness at Isaiah House. • Comprehensive addiction recovery services, including a 90-day residential treatment program, to 307 men and women. • Job training to 92 SOME Center for Employment Training graduates, 88% of whom were placed in jobs earning an average starting wage of $12.00 per hour. • Safe, affordable housing for 192 families with 375 children, as well as 595 single adults.